Through the years, the Caldari State’s reigning ideology has been broadly defined by its emphasis on hard work, sacrifice, and the welfare of the collective over the welfare of the individual. Central to the Caldari mindset is the assumption that people work better when motivated by a feeling of contribution to a greater good, but even more important is the idea that people naturally gravitate toward the sphere of craft they are best suited for, as well as the position they should occupy within it. How has this philosophy been shaped over the tumultuous lifetime of the Caldari nation, though, and where does it stand today? In the early days of Caldari-Gallente relations, when the two nations had just come into contact with each other, the somewhat unusual structure of Caldari government was explicitly set up so that no one person could wrest power from the council. The notion of individuality, so prized by the Gallente, tended to be viewed by the Caldari as little more than selfish blindness to the grander scheme of things, and was frowned upon by the vast majority of their leaders as well as the industrious masses that made up the civilian populace. After the first Gallente-Caldari war, the Chief Executive Panel – the corporate heads making up the Caldari State’s ruling body – went even further with this ideology, soon enough taking their seat as polar opposites to their hated nemeses. While it may seem tempting to ascribe this to the ideological rubberbanding sometimes experienced by newly independent states, there is a great deal of historical data that suggests that even as far back as the time of the Raata-Oryioni empire thousands of years ago, the people who would later become the Caldari were already highly collectivistic in outlook and action. For the newly-at-peace Caldari State, however – a nation bruised and bleeding from a lengthy war – things took on a different tenor. In the sudden absence of a unifying enemy, the people who at that time made up the Chief Executive Panel found themselves gradually turning their attentions to each other. Internal competition between the eight ruling corporations increased. Suggested initiatives and reforms usually served to somehow pad the coffers of the corporation that came up with them, ideally at the expense of their most direct competitors. While competence and devotion to the State were still held in overt esteem to as great a degree as ever – and, indeed, used as religiously in the nation’s propaganda as they are today – the foundations these values were built on had begun to subtly slide. As time passed, the entrenchment of those in power, as well as their fierce devotion to their internal competition, began to have trickle-down effects on the Big Eight’s top tiers. Believing their own modes of governance and management preferable to whatever successors the Board of Directors would offer up, the CEOs of the megacorporations began to pull the strings behind the scenes, making sure their own protégés ascended to positions where they would take over the reins when the time came. They also made sure that key positions within the corporate hierarchies were occupied by people whose goals and opinions coincided with their own. Thus, slowly but surely, covert dynasties began to snake their tendrils around the Caldari State’s power structures. By the time the capsuleers started making waves on the world scene, the State’s hierarchies were crowded with individuals who had come by their positions through the mendacious maneuverings of well-placed superiors, and this played a significant role in the sharp economic downturn faced by the Caldari State. Each of New Eden’s four major nations had suffered some form of economic setback in the wake of the ultra-rich capsuleer class’s meteoric rise, but the Caldari, due to their set-in-stone mentality and reluctance to adapt, were perhaps the hardest hit. Unemployment skyrocketed. Goods and services rose in price. Imports and exports declined. Sensing the shift in worldwide power, the Chief Executive Panel responded by coocooning themselves from the outside world and taking up isolationist policies. Diplomatic relations, never a strong part of the Caldari political skillset, became almost nonexistent. Even in the wake of such disasters as the Protein Delicacy incident (where Caldari-manufactured luncheonette foods were found to cause mental deficiencies in Gallente schoolchildren) or the Insorum incident (where a chemical compound capable of reversing the effects of one of Amarr’s most relied-upon slave drugs was leaked from a Caldari biolab), the State’s diplomats did little to placate those aggrieved by their mistakes. The Caldari nation was as mighty as ever, but it was hardening up from the inside out. It would take a major change to shake things up, and in YC 110 that change came in the form of a radical new leader, Tibus Heth. Finding nepotism-spawned inefficiency all over the State, Heth instigated several reforms intended to bring Caldari back to its roots as a meritocratic society. To this end, he employed his most trusted director, Janus Bravour, to set in motion a series of initiatives that would root out those undeserving of their positions and install in their stead people who had truly earned the right to be there. With the proper gears meshing in unison, the State would once again take its rightful role as a trampling juggernaut of commercial, industrial and military might. Heth’s reforms reached into every sector of corporate activity. He began by confiscating the wealth of mid- to high-tier managers and executives all across the State and redistributing it among the lowest rungs of the workforce. He created programs that made sure people received adequate compensation for hard work, in the form of annual leave and early retirement. He greatly increased funding for education and re-education initiatives. He promoted worker summits wherein individual ingenuity was given an outlet. The main goal: to make sure that no matter which rung on the ladder a person occupies, they stand at least a fighting chance of making it to the rung above them – provided they truly deserve it. Under the new system, social status is no obstacle to advancement. Within ten years’ time, over half of the State’s schools will be equipped with advanced screening methods for detecting unusual aptitude, so that those so gifted can be directed toward areas where their talent will do the most good. Institutions are being set up to give grants to armchair inventors and small business owners who never had the chance to take their ideas to a higher level. Government spies already are being disseminated among the ranks of the corporations and tasked with weeding out nepotism wherever they find it. 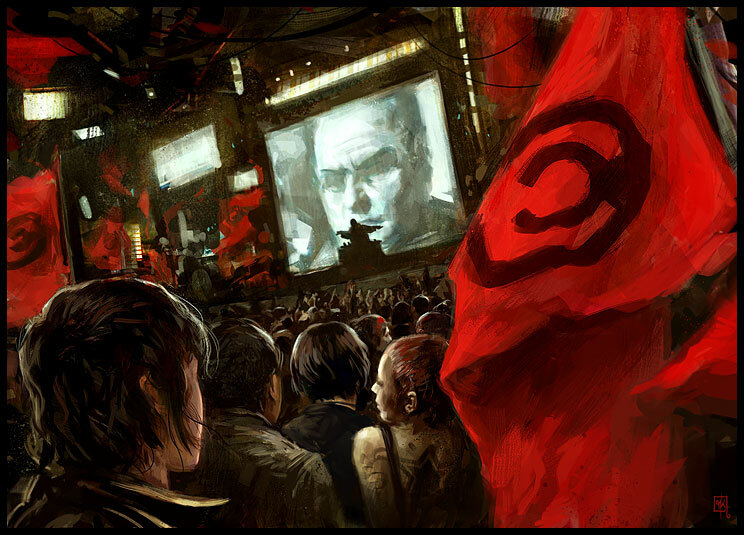 In the time since Heth took power a sizable number of citizens, believing the rule of a single man to contradict Caldari ideals, have left the country. The assumption among them has been that like the despots and dictators that litter history’s pages he would surround himself with a power clique and leave the rest of the nation blowing in the wind, eroding the nutritious soil of cultural values that had kept the State strong throughout its existence. The nationalistic bent of his policies and his military ruthlessness have also caused a degree of alarm, prompting some citizens to question (quietly, of course) how their morality and their national identity fit together in these latest and darkest times. In the span since Heth’s inauguration, however, the turnaround in economic growth has been undeniable. Caldari have more money in their pockets. They are more secure about their retirement. People who under the old system would have found themselves forever excluded from certain positions now reside within those positions. The general feeling, on the streets and in the stations, is that for better or worse something great and grand is underway, that the previous system was ailing and outmoded, and that the New Meritocracy (as it has been dubbed by the press) is a return to form for a great nation shackled too long in the chains of favoritism. Averting their eyes from the darkness all around them, the Caldari people now for the first time in years set their sights on a brighter future.